Super Junior-D&E exudes the charm of a deadly man. Super Junior-D&E uploaded the image of "D&E TEASER SCHEDULE" on their official SNS sites including Instagram, Facebook and Twitter at midnight on April 2, and announced the official release of their third mini album "Danger" on April 15. According to the teaser schedule image, Super Junior-D&E will release individual, group teaser images, highlight medley and music video teaser videos sequentially starting April 2, and then promote music videos in the pre-released music video on the 12, release all songs on the online music site on the 14, release the title track, and release the offline album on the 15. 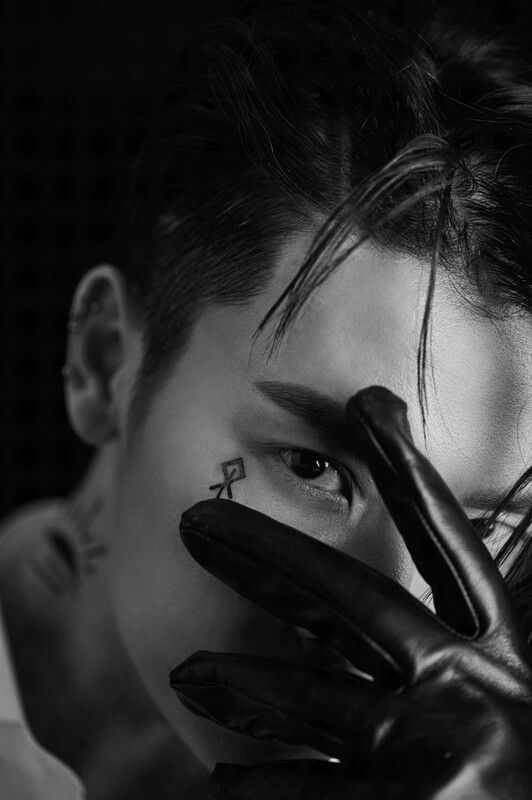 In addition, the open teaser image showed Dong hae staring at the camera lens with strong eyes and Eun hyuk with the mysterious tattoo "PULL" with his eyes covering his eyes, which was a contrast to Super Junior-D&E's opposite visual and sweet charm with their second mini-album title track "Bout You" released in August last year. Super Junior-D&E will hold their first solo concert "THE D&E" in South Korea on April 13 to 14 at the Olympic Hall in Olympic Park in Seoul.